Tickle My Senses: Vegeterian Mangalorean Radish Theil Piao. 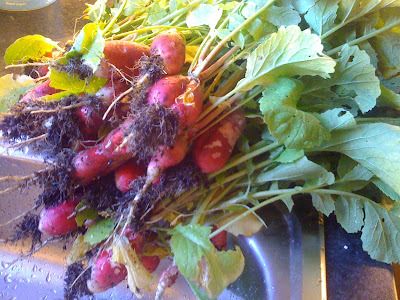 Our first garden produce this spring has been tender baby radishes. Hubby loves this veggie as a salad but wanted to try something new with it. He tried the classic but simple theil piao which is a simple mix of onion a few spices and oil. The dish was very interesting and tasty as it had various textures in it owing to the mix of leaves, stem and root. A definite must keep recipe. Goes well with parathas. Radish tends to be a little bitter, those who do not have a palate for bitter taste may not appreciate this vegetable. Other vegetables like beans and spinach can also be cooked this way. 2.In a kadai take oil add tumeric powder and mustard seeds, once they splutter, add urad dal, curry leaves, and green chillies and fry for a minute on medium heat. Add the onions and fry till it turns translucent. 3. Add the chopped radish, ginger, grated cocounut and salt, toss around well, and let it cook covered on a medium flame for 7-8 mins, tossing often. Add a little water to cook the radish only if required. Once the radish is crunchy and cooked check for seasoning then turn the flame off. Radish teil piao is ready. 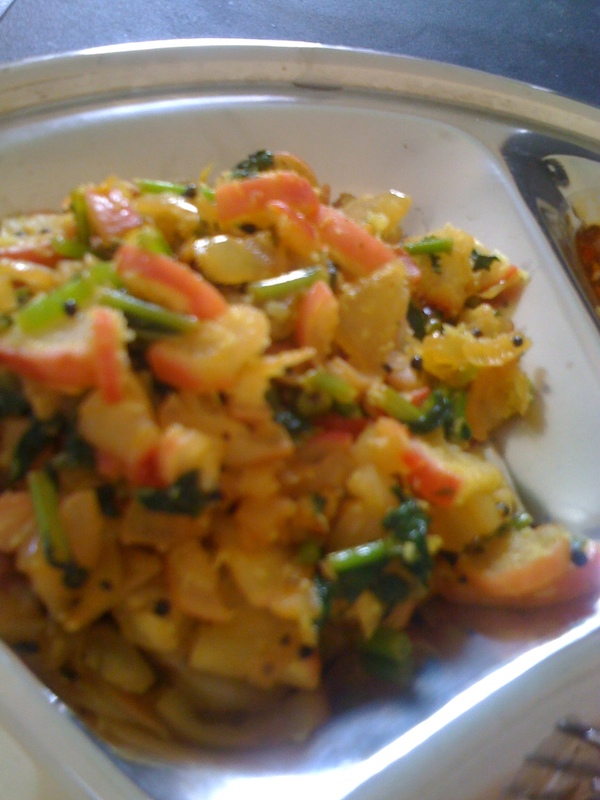 Serve with chappatis, rotis or parathas. thanks for this simple and tasty recipe! !